Bodine talks marathon shows, music class, and playing The Boss with frontman Tom Vitorino. Mammoth rocks at the Village this weekend with another line-up of top-notch tribute bands at Mammoth Rocks and A Taste of the Sierra. 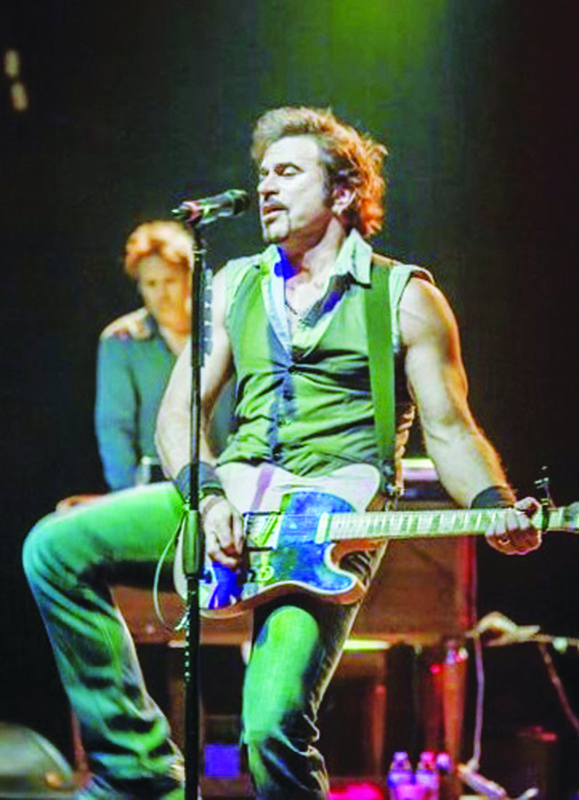 The Rising – Bruce Springsteen Tribute band, is back for another year and ready to play a 4-hour set, Tom Vitorino, the “Boss” of the group told The Sheet. Springsteen is known for record-breaking shows, lasting four hours or more. Vitorino said The Rising usually plays the 90-minute sets American venues ask for, but in Europe, shows can last the better part of a day. Vitorino grew up in Pittsburgh, PA, but vacationed at the Jersey Shore where his “romantic relationship” with Bruce’s music blossomed. This was in the 1970s and ‘80s when all of Springsteen’s songs had a bullet, think “Born in the USA” and “Dancing in the Dark”. He played in local bands, playing guitar, bass and vocals and later harmonica, building the resume he would need to fill Springsteen’s shoes. His laugh even sounds like Springsteen’s. The band started as Asbury Park, in 1999 but changed its name in 2002 when Springsteen released what Vitorino considers his finest work, The Rising. The Boss had only put out three albums in the 1990s (“Maybe he was saving it up?” Vitorino asked), then produced The Rising in the wake of 9/11.